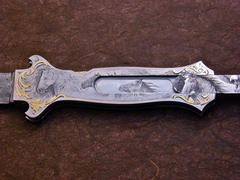 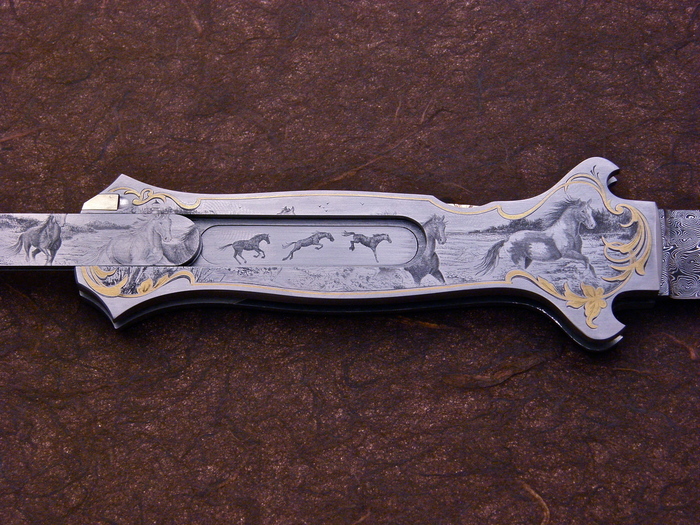 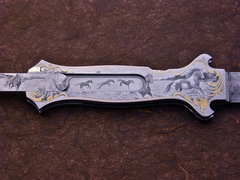 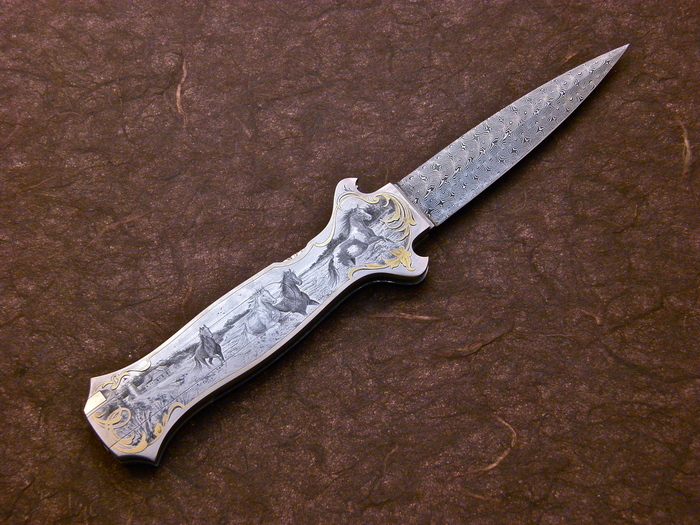 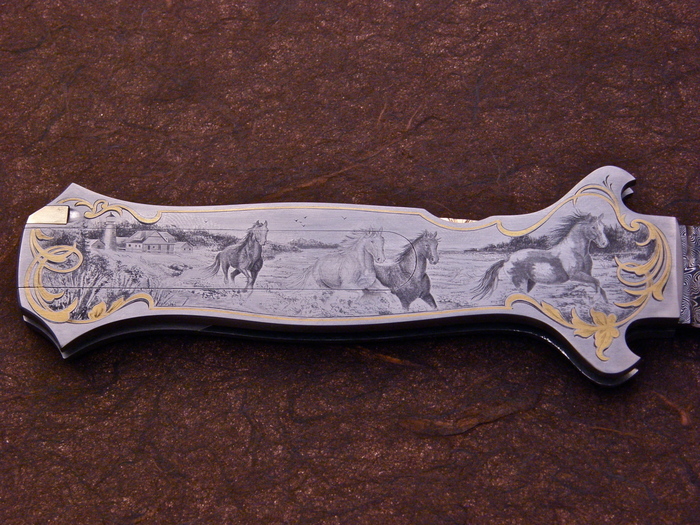 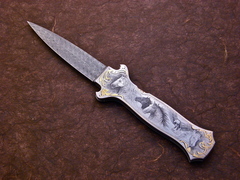 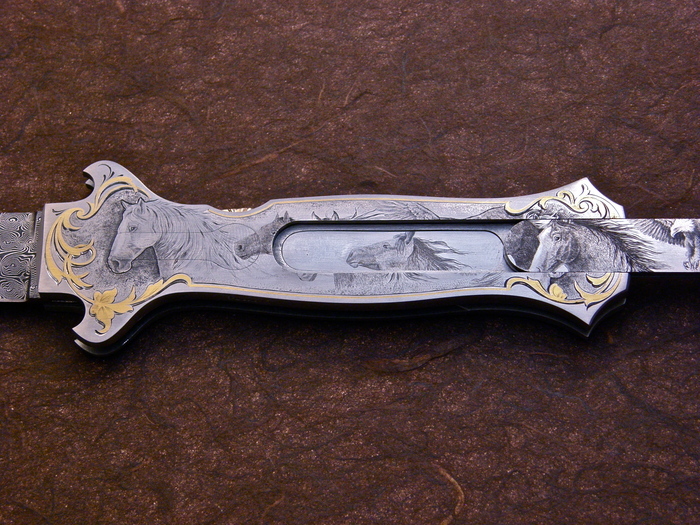 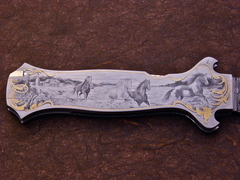 An incredible engraving job by Lee Griffiths on a Dead Bug" model knife by Joe Kious. 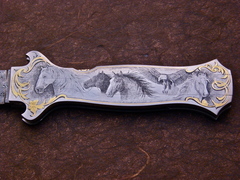 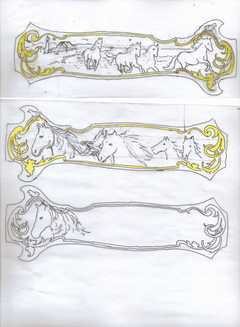 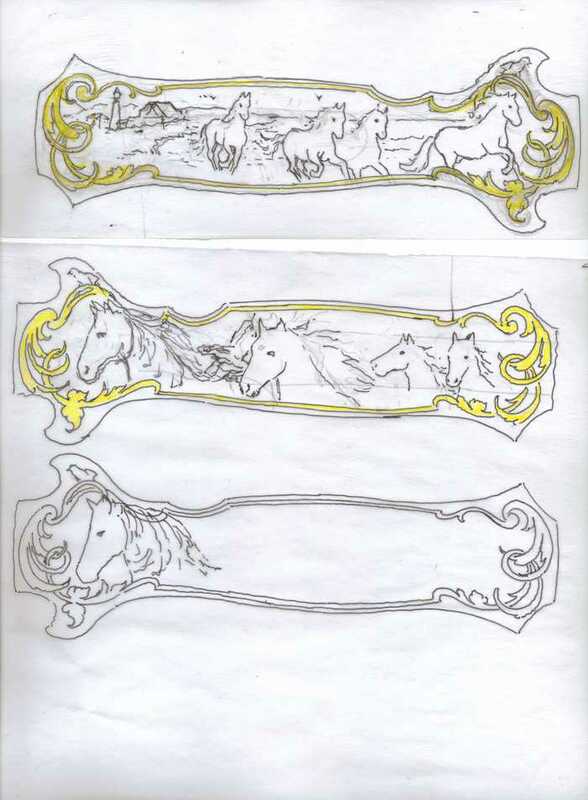 The Bulino style engraving by Lee captures a beautiful scene of Horses running on a Beach with a house and a light-house in the background. 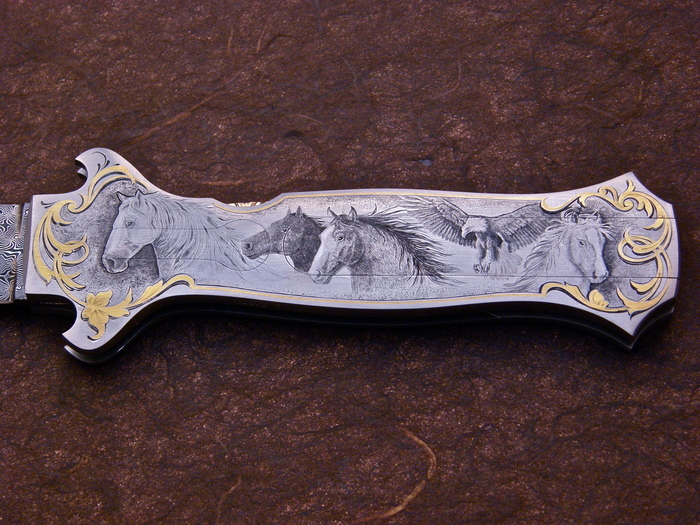 Truly amazing!